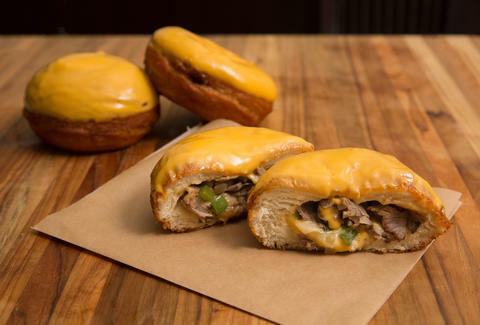 We've brought you many outrageous donut recipes over the years -- samoa donuts, king cake donuts, and donut chips -- but this one, this savory Philly cheesesteak donut, is our crown jewel. 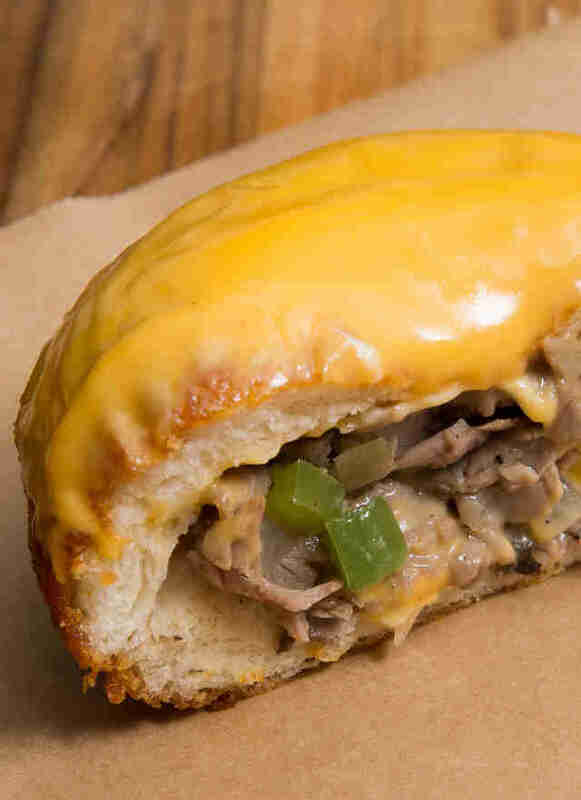 This little number bulges at the seams with roast beef, onions, peppers, and Whiz, and is glazed with even more Whiz. The best part though? You can pull eight of these together in under forty minutes. Heat 2 tablespoons of oil in a large skillet over medium heat. Saute onion and pepper until soft. Push them over to one side of the pan and saute the meat quickly, just until browned. Season with salt and pepper to taste. Transfer everything to a bowl; set aside. Heat 1 quart of oil to 350℉ in a deep fryer or heavy pot fitted with an oil thermometer. Remove biscuit dough from the packages and flatten each piece to ¼-inch discs. Put 1 tablespoon unheated Cheez Whiz in the centers of each disc. Add 2 heaping tablespoons of beef filling to half of them; top with the other discs (cheese side in) and pinch edges together to seal in the filling. Make sure there are no openings in the donuts. 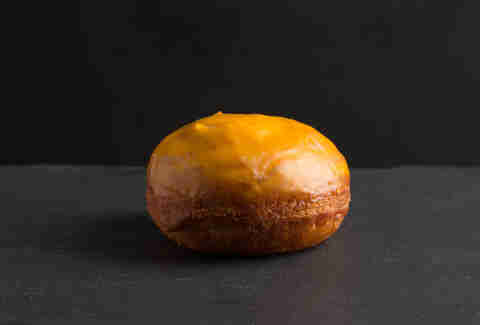 Carefully drop donuts into the hot oil, without overcrowding; fry for 3-4 minutes each side, until deep golden brown. Transfer to a wire rack or paper towels to drain. Heat remaining Cheez Whiz in the microwave for 1-2 minutes, until melted. Dip the tops of the donuts in the Whiz and return to sheet to cool. 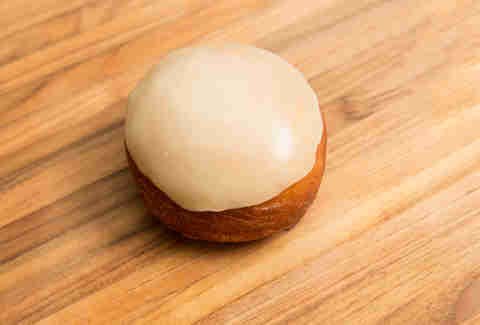 If you’re a provolone lover, skip the Whiz glaze and place 1 slice of provolone on top of each donut while they’re still hot. Perry Santanachote is Thrillist's recipes editor and sometimes wishes she lived in Philly, if only for the cheesesteaks. Follow her at @perrysant.